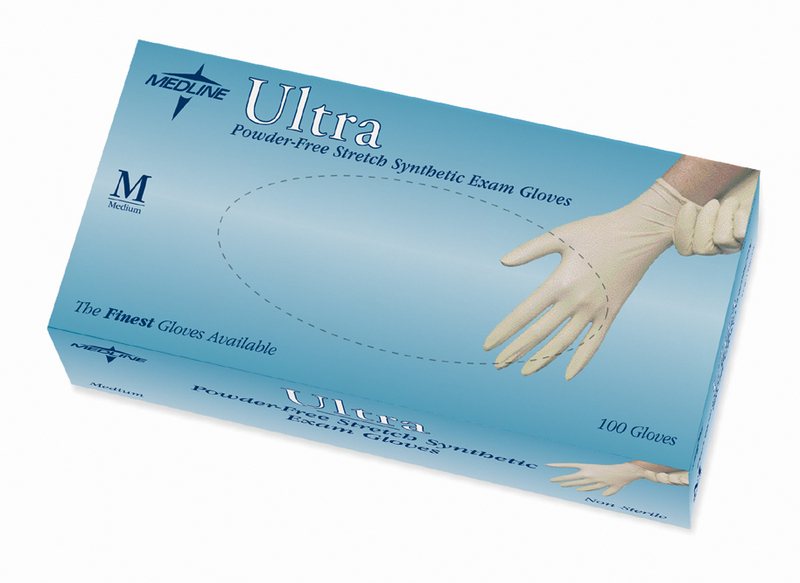 Medline Ultra Stretch Synthetic Glove Provides a Comfortable, Secure Fit Every Time. Constructed of an advanced formulation vinyl synthetic that stretches to fit your hand while providing maximum sensitivity. The gloves are Powder-free and latex-free. FAST SHIPPING IN THE U.S.A.